Graduation day is almost here. After all the hard work you’ve put in, there’s just one thing left to do: commemorate the occasion. One of the most recognizable landmarks of the City of Brotherly Love, Robert Indiana’s LOVE sculpture made its triumphant return to LOVE Park in February after a yearlong restoration. 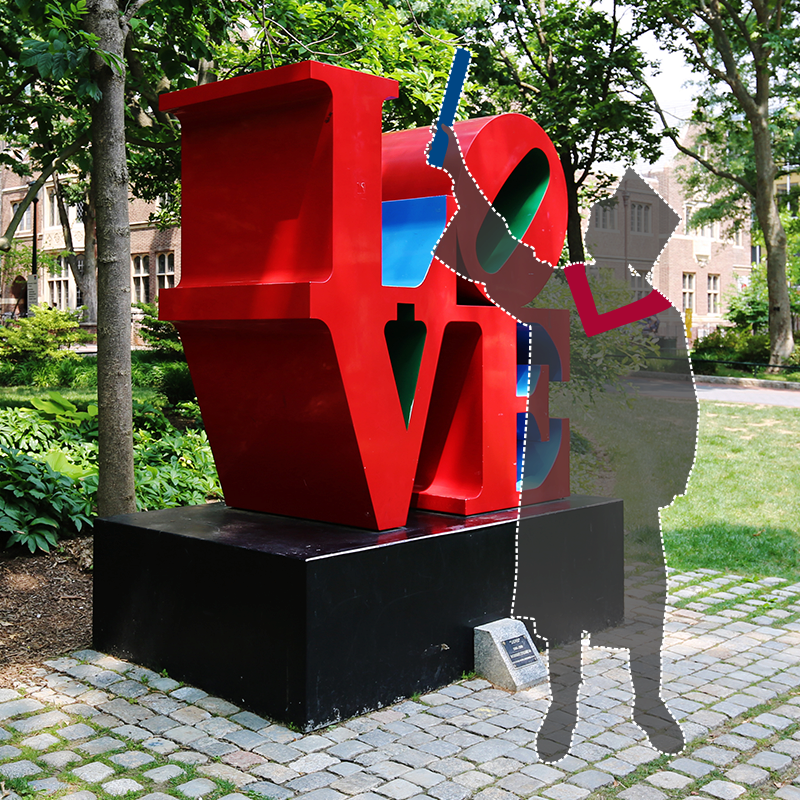 Luckily for Wharton students, Penn’s own LOVE sculpture has remained at its home on campus on College Green since Jeffrey and Silvia Loria donated it to the University in 1996. Part of the pop artist’s Love series, the 6-foot aluminum sculpture is one of dozens of variations that appear in different languages around the world. 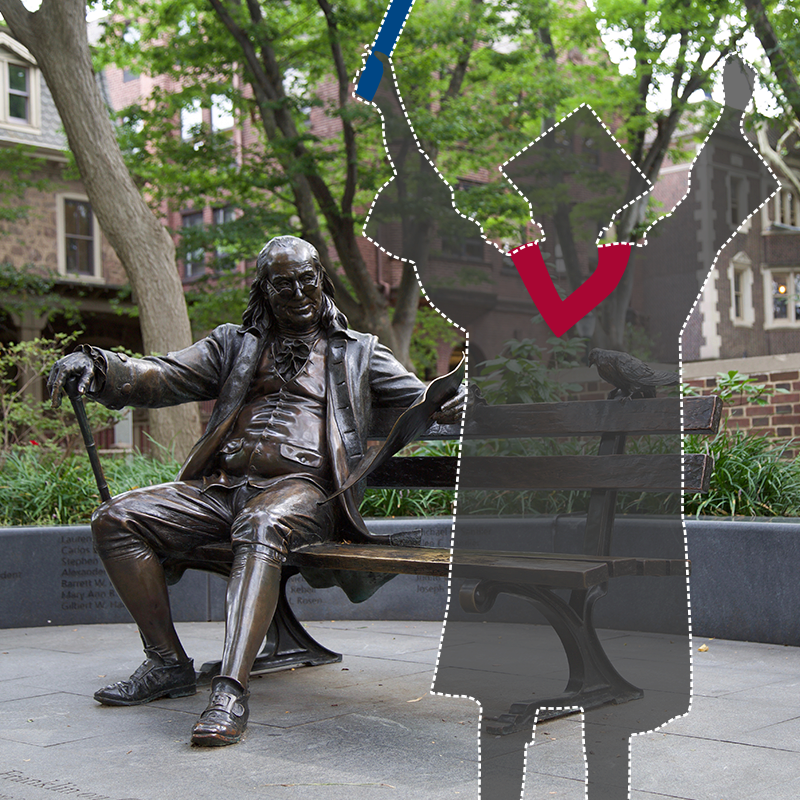 You’ve probably passed Ben on your way to class hundreds of times — now is your chance to take a seat and snap a Graduation selfie with him. Designed by George Lundeen and donated by the Class of 1962 at their 25th reunion in 1987, this bronze sculpture of Benjamin Franklin sits right outside of Steinberg-Dietrich. Ever wondered what he’s reading? It’s a copy of the Pennsylvania Gazette, the newspaper he owned and published, which was once one of the most successful newspapers in all of the colonies. Bonus photo op: Grab a picture with Ben on the Bench in Beijing at the Penn Wharton China Center. The classic Wharton photo op: leaping in front of Huntsman Hall. If you haven’t done it yet, there’s still time. 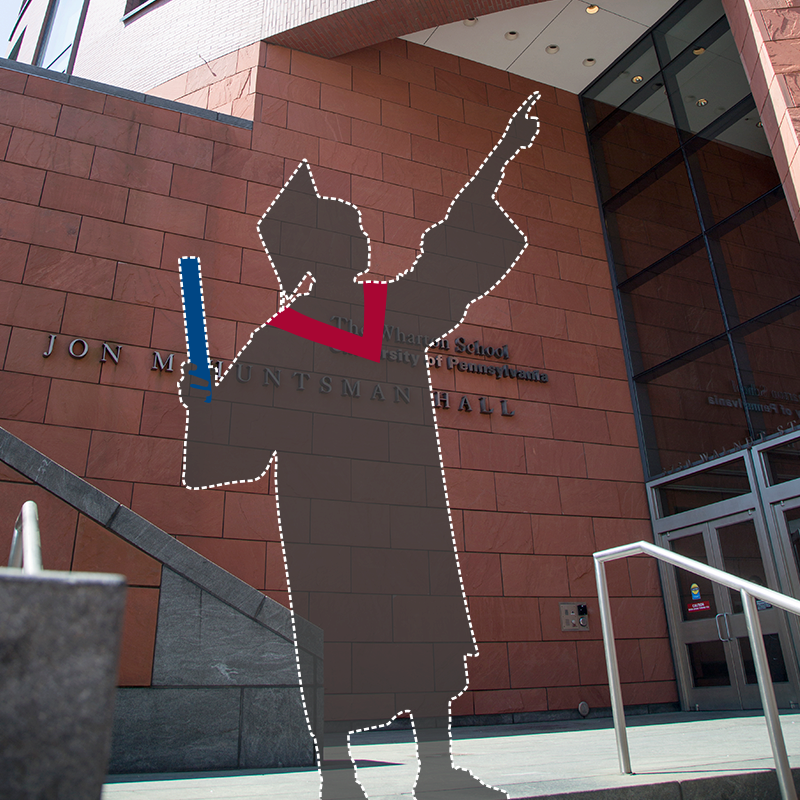 Named Jon M. Huntsman Hall after the Wharton alumnus, corporate leader, and philanthropist, this iconic 8-story, red brick building opened in 2002 and is one constant in the life of every Wharton student. You may have spent a few late nights in one of the group study rooms here, so enjoy this opportunity to celebrate no more cramming. Last but not least, don’t forget about the most heavily used space on campus — Locust Walk. Originally part of Locust Street, Locust Walk became a pedestrian-only thoroughfare in the 1960s. This brick-lined walkway brings you right through the heart of campus from 40th to 34th Street. In fact, it will bring you to every spot on our list. And there’s plenty of photo opportunities along the way: if you stand on the bridge at just the right angle, you’ll be able to get Alexander Liberman’s 47-foot abstract steel pipe Covenant in the background. 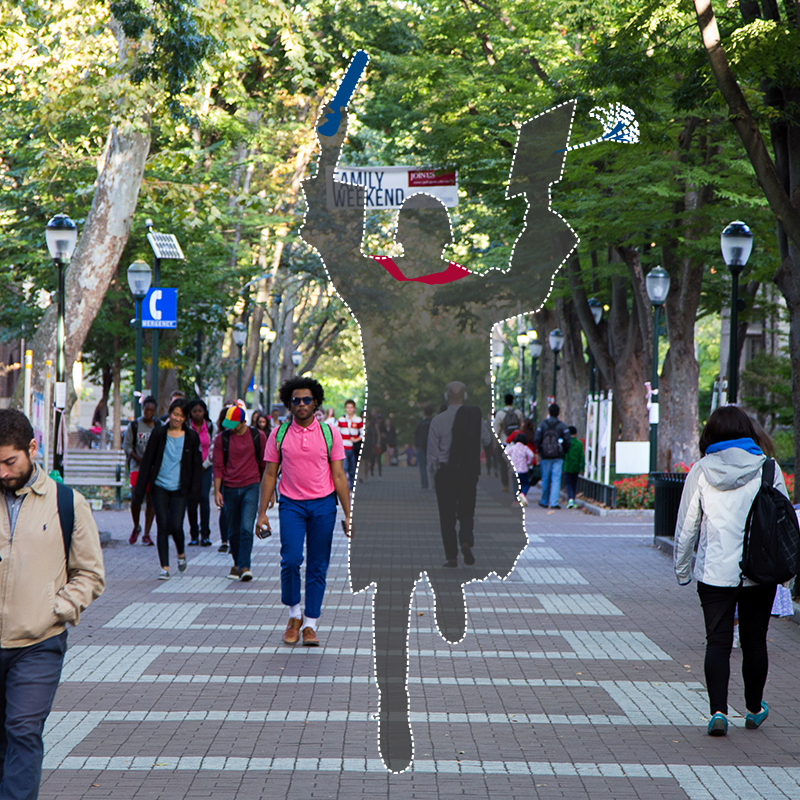 And don’t forget to share your photos with us by using #WhartonGrad.